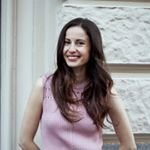 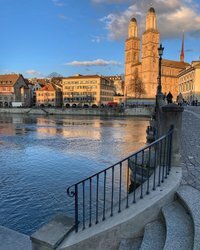 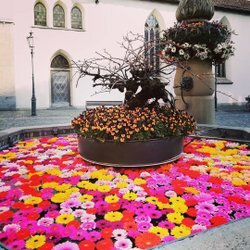 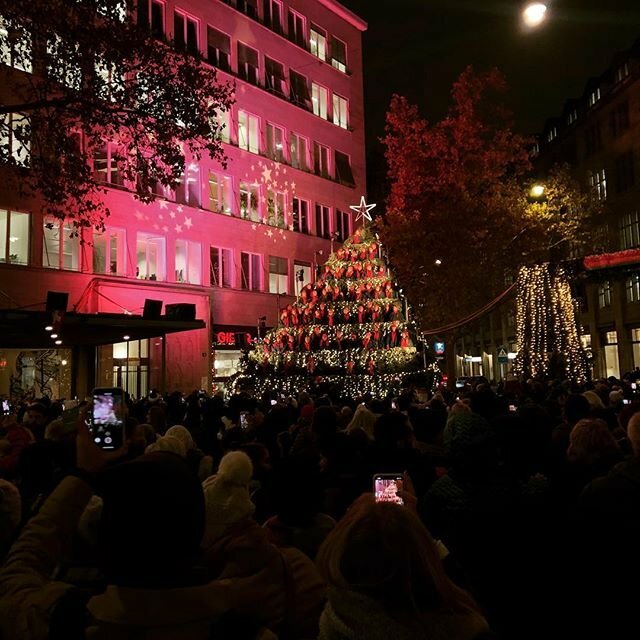 If you stroll along the Bahnhofstrasse during the Advent period, sooner or later you will come across the Christmas market at Werdmühleplatz. 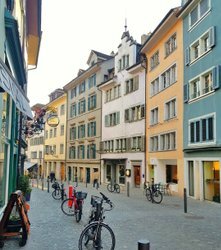 It has already firmly established itself among visitors and locals alike. 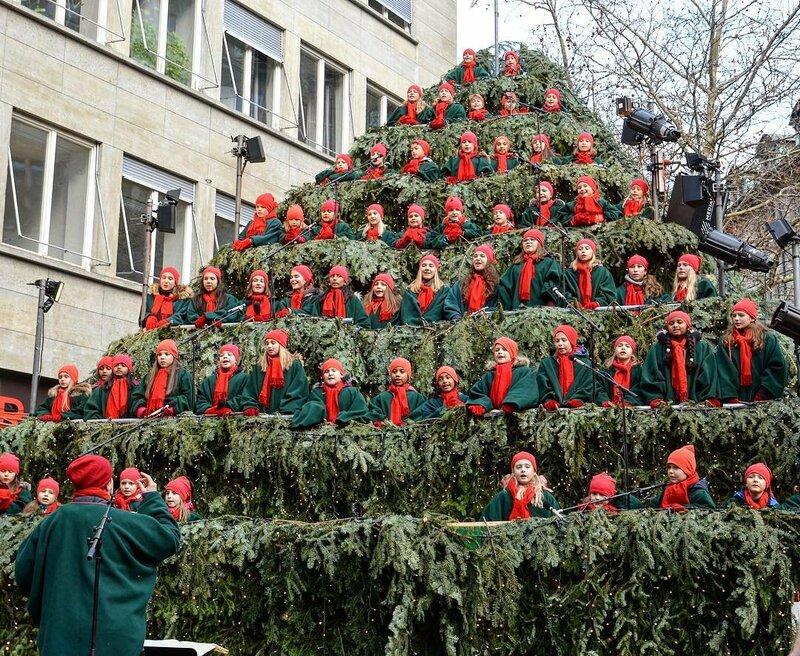 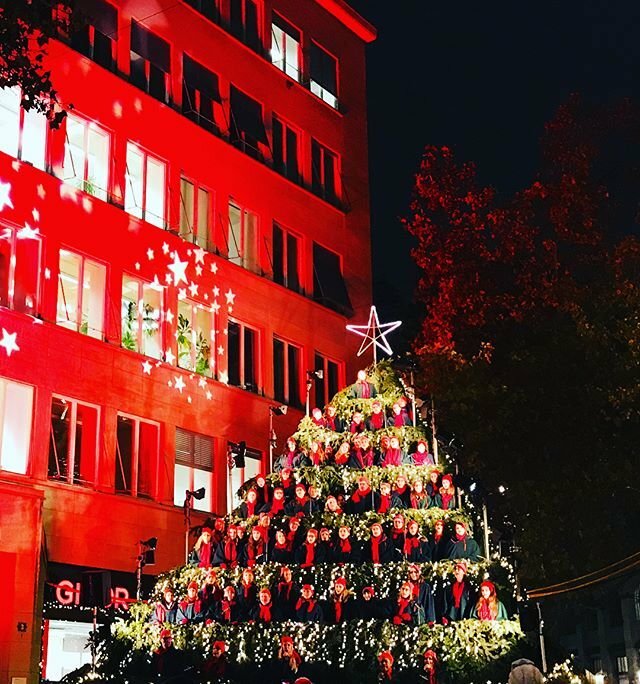 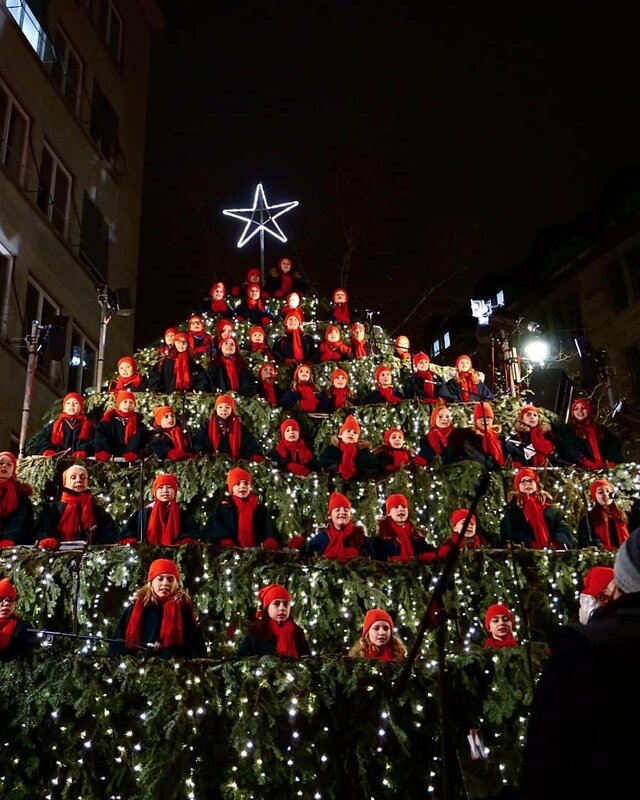 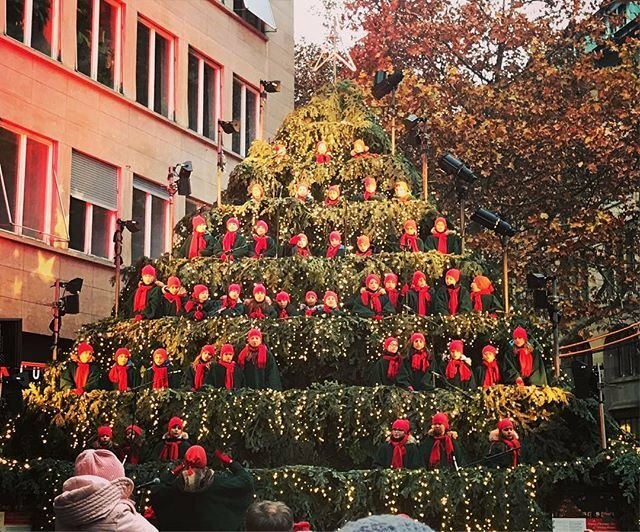 One good reason for this is without doubt its unique attraction – the Singing Christmas Tree. 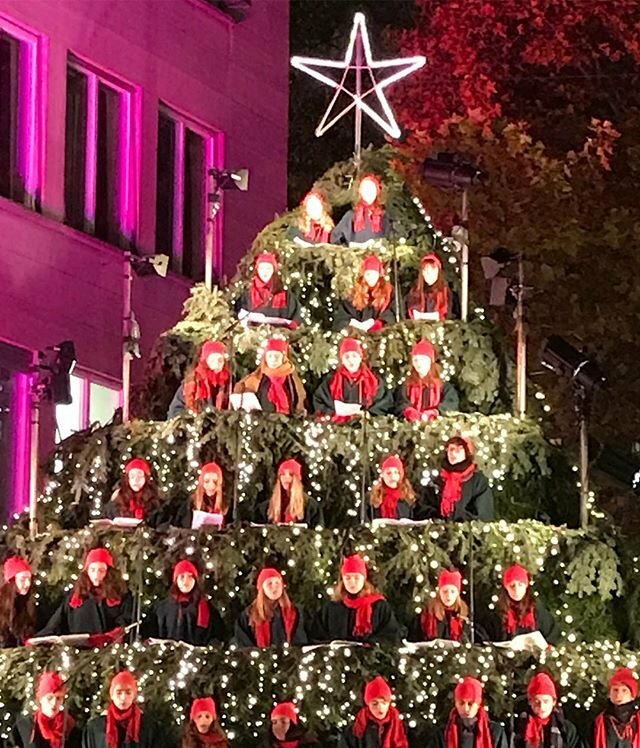 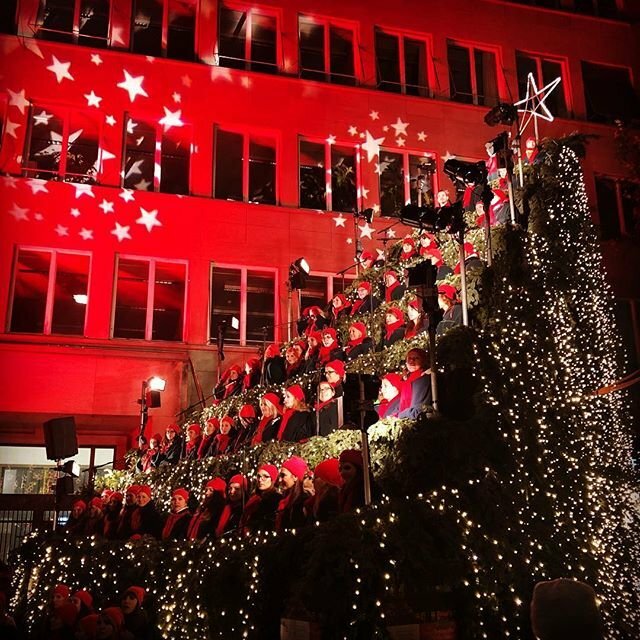 Rowed up on a vertical podium in the shape of an enormous Christmas tree, various choirs from the region spread Christmas cheer with their repertoire of Christmas carols.